Launched in 2015, the highly acclaimed Le Lyrial is a new generation of small ship, along with sister ships Le Boréal, Le Soléal, and L'Austral. 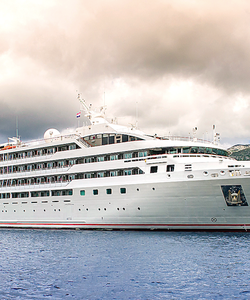 These ships of the Ponant fleet are of the highest quality, featuring a sleek design, and distinctive French decor. 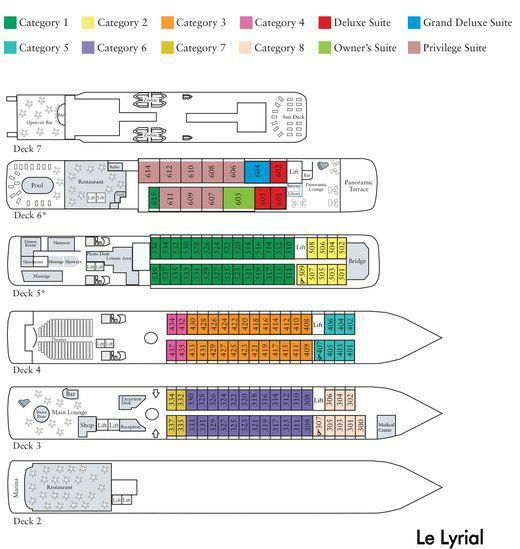 Ninety-five percent of the 120 large, deluxe, air-conditioned, outside staterooms and suites (from 200 to 600 square feet) feature private balconies. Most accommodations have two twin beds that convert to one queen-size bed. Each cabin has a private bathroom with shower (bathtub in limited number of staterooms) and the luxurious amenities of a fine hotel, including individual climate control, satellite flat screen television, wireless Internet access, safe, minibar, full-length closet, writing desk/dressing table, and plush robes. International and regional cuisine are served in the stylish, spacious dining room in single, unassigned seating; alfresco in the casual indoor-outdoor restaurant; or from 24-hour room service. Continental and buffet breakfast, buffet lunch, afternoon tea, and a four-course dinner are served daily. Complimentary alcoholic and non-alcoholic beverages are included . Inviting and spacious public areas accommodate all passengers comfortably. 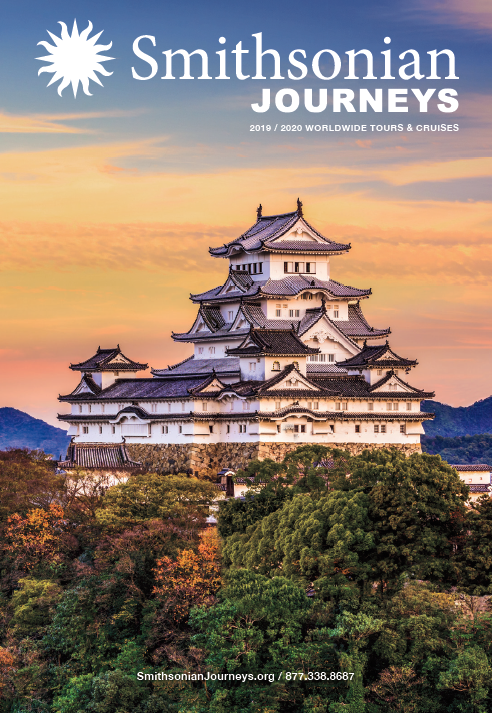 Enjoy views from the Panoramic Lounge, nightly entertainment in the Main Lounge, and lectures, cultural performances, and film screenings in the state-of-the-art theater. There is a library, Internet salon, Sun Deck, swimming pool, beauty salon, spa, Turkish bath-style steam room, full range of fitness equipment, and two elevators. The infirmary is staffed with a doctor and nurse. The highly trained and personable, English-speaking, international crew provides attentive service.